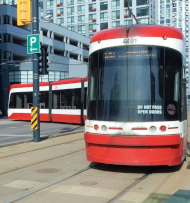 Exploring Canadian railways, history, technology, et cetera. Indexes and 'search this blog' appear immediately below. 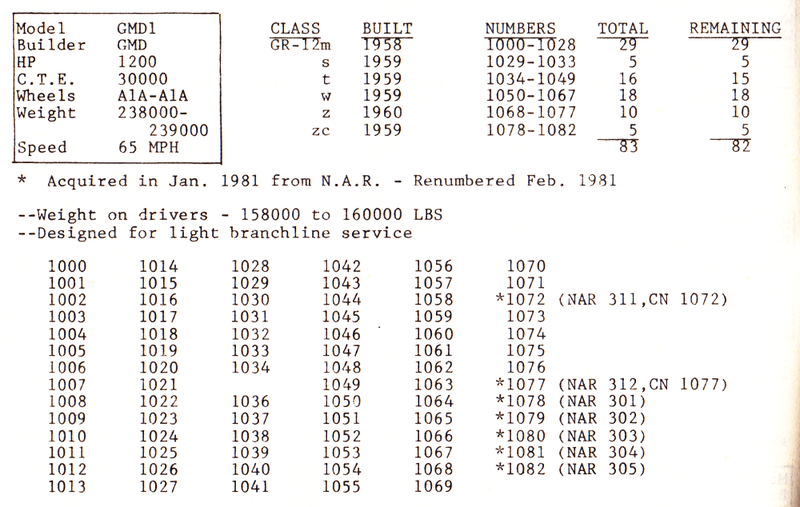 One evening in Portage, out of the setting sun came three GMD-1 locomotives, apparently after doing some branch line rehabilitation. 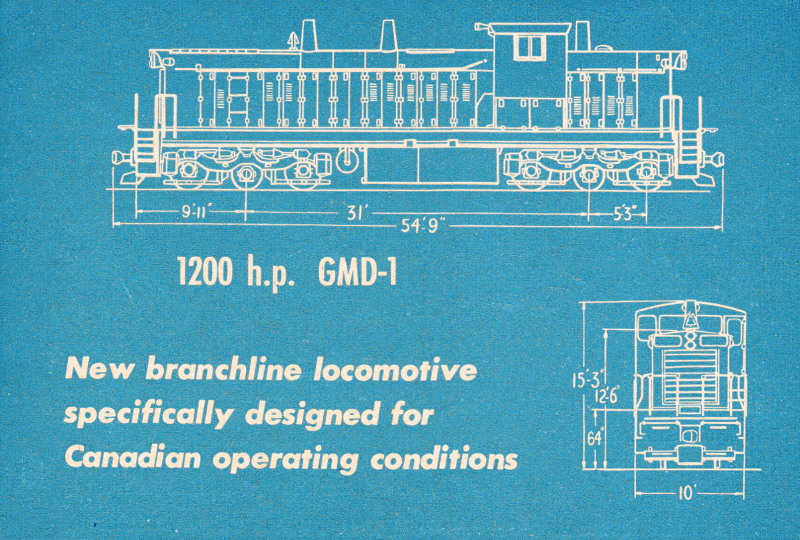 The 'Canadian operating conditions' were those experienced on the network of lightly-built branch lines - many from Canada's western railway boom. Lines were built which were adequate to get the land settled ... and to earn the government subsidies. For many subdivisions, the first version of a line looked a lot like the version of the line which was abandoned forty to sixty years later. 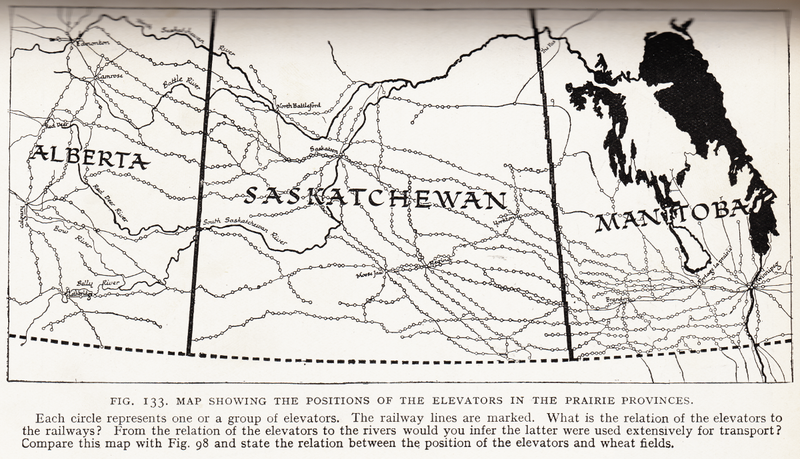 from: Canadian School Geography; George A Cornish; 1927; JM Dent and Sons. 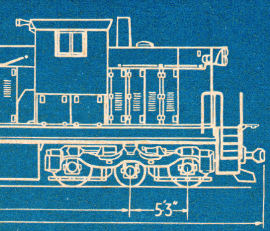 With the end of steam on most Canadian railways becoming final during 1960, the CNR needed light replacement locomotives which could tiptoe around with 40 foot boxcars to service country grain elevators. In many cases, light CNR-inherited steam power had served a few extra decades because of these 'Canadian operating conditions'. 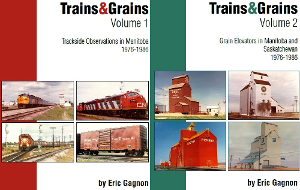 A Trackside Guide to Canadian Railway Motive Power; Earl Roberts; 1982; Bytown Railway Society.